BORUSSIA DORTMUND have slipped up twice in the past week but avoided any major damage and can negotiate a tricky home clash today. The draw away to Eintracht Frankfurt in the league was no disgrace – and moved them a further point clear of Bayern Munich – while the midweek cup exit to Werder Bremen on penalties leaves the Bundesliga leaders with one less distraction to worry about. Lucien Favre's men have been a class apart at home in the league, picking up 28 points from a possible 30. Today they welcome stalemate specialists Hoffenheim who've draw seven of their last nine. 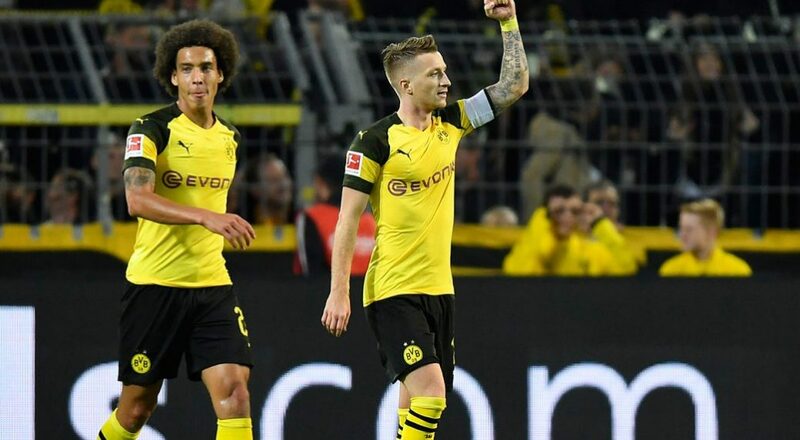 Dortmund have won six of the past seven head-to-heads, with both teams scoring in five of those, and a home win and over 1.5 goals stands out at 10-11 with Ladbrokes. In France, runaway leaders PSG can land the same bet at 2-5 with Ladbrokes when Bordeaux come calling. Bordeaux have lost three on the spin in league and cup and Cavani and Co should be far too strong for them. Staying in Ligue 1 to complete the treble it's in-form Strasbourg at home to Angers. Strasbourg have won four on the bounce in the league and lost just twice in 15 while Angers are winless in seven away games. Back the hosts draw no bet at 11-20 with Marathonbet.